2)Nice polishing, Hand grinding to make the perfect luxury necklaces set. 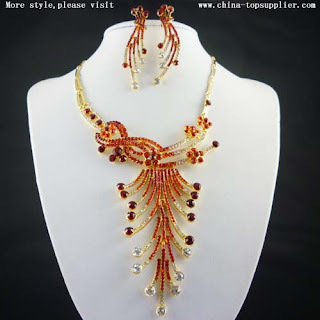 3)we got professional designers, jewelry set customized disign acceptable. 5)Supply Ability: 5, 000 piece/pieces per month. 8)We are the leading and directly fashion jewelry manufacturer and can make customers idea into sample within 7 working days; We could offer you the good quality products with competitive wholesale price.